Radio1000 » Stellar Winner -2012 Radio Station of the Year & The Praizeness Station in the Nation! , Bishop Noel Jones, Pastor Paula White, Richard Roberts, Vickie Winans, Yolanda Adams, and a host of others. Radio 1000 has also sponsored a number of community centered activities such as home buying seminars, political events, and our Black Business Showcase. The majority of these events, that are promoted by the station, are free and open to the general public. 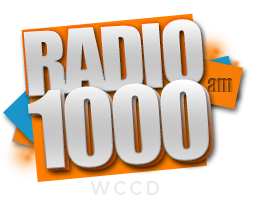 With diversity, discerning customers, spending power and solid positioning and a loyal following of listeners upwards of 400,000 locally and growing daily; in addition to the 4.5 million hits each month over our live internet stream at www.radio1000.org; AM Radio 1000 is an excellent advertising choice, with guaranteed results and has proven to be the most cost effective media outreach in the market today.